I still remember receiving an email from Ginny Frohmberg last June as I was about to leave my hotel room in Heidelberg, Germany. Ginny was one of 900 passionate abolitionists I had met the week before at the Freedom Summit in San Jose, California, but her email received my full attention. 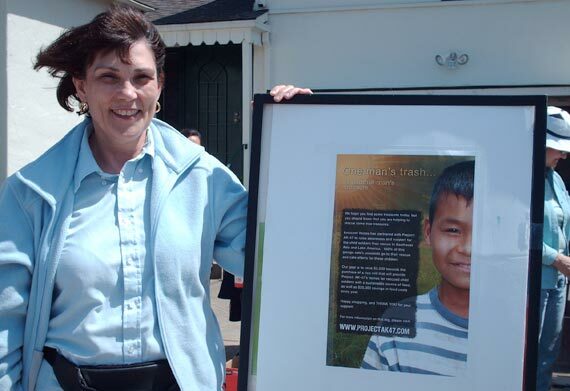 The bold plan that she presented was to coordinate a series of garage sales in the Bay Area to raise $2,200 dollars for our rice mill project at one of our homes for former child soldiers in Burma. Humbled and amazed at Ginny's daring initiative, I didn't have to think long before writing back to offer my enthusiastic support of the idea. Ginny and Innocent Voices, her small group of women and men committed to fighting on behalf of children caught in sexual exploitation and armed conflict, got right to work and began collecting donated "stuff" for their garage sales and promoting the events through their networks of friends, their church and around town. What happened next surprised us all: every garage sale they put on raised record funds! Over the course of 4 garage sales, Ginny and her friends blew their $2,200 goal out of the water and raised over $4,000 to support our child soldiers' food security through the rice mill and bulk rice they were able to help us purchase. Money can't buy friends, but it can feed rescued child soldiers. Anyone who does that is a friend of ours, and Ginny and her group have definitely made our "favorite people" list. Speaking of people we "like," facebook has connected us with some amazing new friends. One such friend, César Sandoval, found us while searching for child soldier-focused causes on facebook. César had traveled extensively in Asia and other regions where he encountered children in extreme poverty and exploitive scenarios, so he was moved to find a way he could help. While most people don't immediately see the connection between what they're good at doing and how this can benefit child soldiers, César had no problem at all. 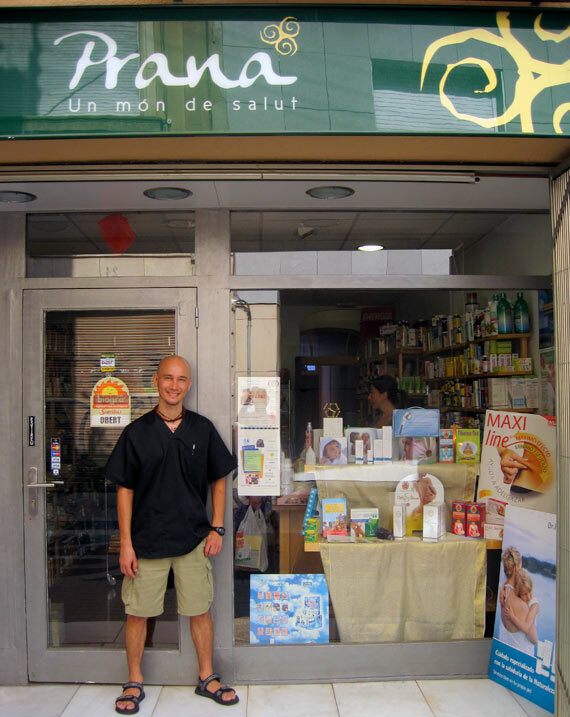 A native of Argentina, César is now a massage therapist who practices and teaches Thai massage at Prana, a holistic health and nutrition boutique and spa in Sabadell, Spain, just outside Barcelona. César and shop owner Sonia worked together to create a monthly one-day event called "La Jornada de Masaje Solidario" (Solidarity Massage Day) during which they would donate the proceeds from their massage clients to worthy causes. Sonia and César chose Project: AK-47 to be the second "Jornada" recipient and created their own promotional materials in Spanish and Catalán to draw in clients who not only wanted to ease their tensions, but help children in armed conflict in the process. Again, the same phenomenon occurred: they surpassed their fundraising goal. In just over 3 hours, they raised 105€ (roughly $133), which they promptly donated through our facebook cause. César is also translating some of our materials into Spanish and starting his own dog tag mini-campaign in Spain. Another unlikely abolitionist recently surprised us with his passion and determination: Nate Bass, the 9 year old nephew of our very own Tyler and Analee Ward. 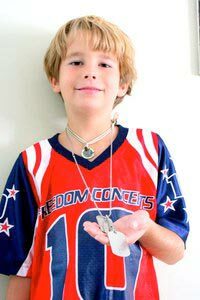 When they gave Nate a set of dog tags about 6 months ago, Tyler and Analee had no idea the impact it would have on him. Nate blew us all away a few days ago when he wrote and tagged all his friends in a facebook note explaining how his heart was broken by the reality that kids his age and younger are being forced to kill. But he didn't stop there...he went on to call all of his friends to join him in his efforts to give a name and a voice back to otherwise nameless and voiceless child soldiers by purchasing their own set of dog tags. His goal is for at least one friend per day to purchase a set of tags during the month of September. We absolutely love Nate's bold effort, and I'm sure he wouldn't mind if people followed his lead with their own facebook note-writing and -tagging exploits. To read Nate's eloquent call to action, click here. So, a huge thanks to our inspiring friends and fellow abolitionists who are finding creative ways to use resources they already have to leverage even greater support! We're all taking notes from you. Hint, hint.